Tone2 ElectraX: the specs suggest that this could be a real power synth. 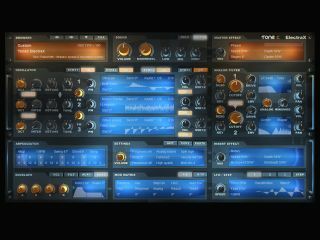 Tone2, developers of the acclaimed Gladiator synth, has announced ElectraX, which it's billing as its new flagship instrument. Scheduled for release in December. ElectraX, is PC- and Mac-compatible. Find out more on the Tone2 website.